Heir to a noble fae house, Trahern is forced to watch helplessly as his twin brother is cruelly changed into a grim - a death dog - as punishment for falling in love with the wrong person. Trahern doesn't believe love exists, but he will do anything to keep his brother alive - even join the Wild Hunt and ride the night skies of the human world. Lissy Santiago-Callahan believes in love but has no time for it. She's busy juggling her career as an academic and her home life as a single mom to a young son with Asperger's. Her hectic life in sleepy eastern Washington is made even more chaotic with the sudden arrival of a demanding fae and his unusual "dog". Mortal and immortal have nothing in common, and the attraction between Lissy and Trahern surprises them both. But when their desire places Lissy and her child in the path of a deadly faery feud, will the connection last, or will their separate worlds prove too great a divide? I’d seen Dani Harper books around for awhile, but had never tried one until now. I think I picked a pretty good one to start with. This is book 4 of her Grim series, but was assured by the blurb that it was standalone. For the most part this is true, although you can tell that some of the side characters were in the other books, so this is good news for people that have read those books. Me? I have already gone back and bought book one. Trahern is a twin and a member of the House of Oak in the world of the Fae. Many years before, his mother, a very evil sorceress, had changed his twin, Braith, into a Grim(a huge immortal dog)for life-for having the audacity to want to pick his own mate for love. To thwart her, Trahern starts riding with The Wild Hunt, where she can’t touch him. He has brought his brother(the grim)along with him and tirelessly devotes his time off trying to free his brother from the spell. When Braith decides to go off on his own to protect a nine year old boy on the earth plane, Trahern has to find out what’s happening. Lissy is the widowed mom of Fox, a boy with Asperger’s Syndrome-a type of high functioning autism. What she doesn’t know is that Fox is a rare sorcerer, along the scale of Merlin. Of course, Trahern has to step in to train him after immediately feeling his magic. Lissy grew up with magic as members of her family either had some or practiced. Her friend Brooke is a practitioner of magic as well. So she is aware of the fae, and of magic. She is not aware of Fox being so powerful though. So she has to trust her son to Trahern’s training. It’s not hard when she is almost immediately drawn to him-and he to her. Problem? Trahern grew up believing that love doesn’t exist. Yes, that’s not going to be a problem long! Fae world building can be hit or miss for me and much of the time I am not a fan. I guess that’s why I read more shifter and vampire books. 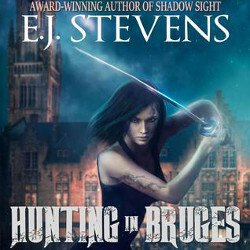 That being said, I quite enjoyed this author’s world building and her use of The Wild Hunt. It was easily pictured and at times reminded me of medieval times with castles and a queen and her court. The members of The Wild Hunt were also pretty fascinating, while still being in the background with the exception of Trahern and Lord Lurien, the master of the hunt. Narration by Justine Eyre was good. I have listened to her several times before so her voice was very familiar to me. And enjoyable as well. There’s a lot of Welsh words used, and spells used were loosely based on a form of Welsh, so at times I had a hard time understanding them. That was absolutely not due to the narration though. Her male voices were good and one of my main criteria with a female narrator or vice versa with a male one. One little fae character had a very distinctive voice and it was well done-and actually fun. So narration was a 4.5 stars for me. 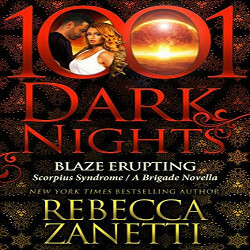 Highly recommended to adult(language, sensual scenes, some violence)readers of paranormal romance and urban fantasy fans will find a lot to like about this book as well. I bet I would really like this series as well, I have this weird fascination with the Grim Reaper tellings LOL> Wonderful review! Well, it’s not a grim reaper thing. It’s a Fae story with grims-huge, immortal hell hounds. And about The Wild Hunt, magic, and about humans as well. It was a fun story even though it’s a drama. This sounds like my kind of story, Lorna. And I haven’t even heard of Dani Harper before… Great review! I had heard of her but this was my first. I enjoyed it! Sorry I am behind on this. I’ll definitely check out this series, Lorna. The Wild Hunt is a way to do some world building, I think, and I wonder how the world building compares in the previous books. I suppose you’ll let me know, huh? You said Eyre’s voice is familiar to you. I wondered if you’d listened to her recently and if so, were you able to separate her voices from the previous books? I’m listening to Dannika Dark’s The Gift right now and you know I love Nicole Poole but it seems to me that at least one of her voices is too similar to one in the Seven series. That’s probably nit-picky, huh? The voices were familiar because I listened to The Mighty Storm series narrated by her and another one as well. To be honest I can’t remember the voice differences, I just know her voice now. Sorry I am just now answering this now. Now, you have a fantastic summation of this one. All the good stuff to hook in a reader. I agree about Eyre doing good with all the voices she had to do. 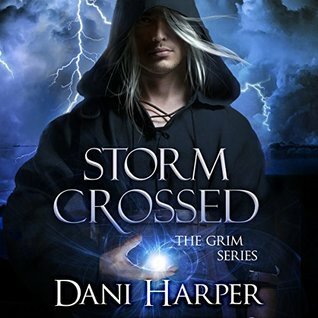 Definitely going to read/listen to more of Dani Harper’s books. Thank you! I am looking forward to more as well. Sorry this is late. Oh I love Dani Harper’s work. I do need to read the book before this one and I want both of these books. 🙂 I may have to try audio as I do like Justine Eyre. So you have listened to her as well. I like her narration too. I am definitely going to try and read more by this author! Sorry I am late commenting! I’ve not read that much about The Wild Hunt but it is intriguing isn’t it? I thought this one was done well.